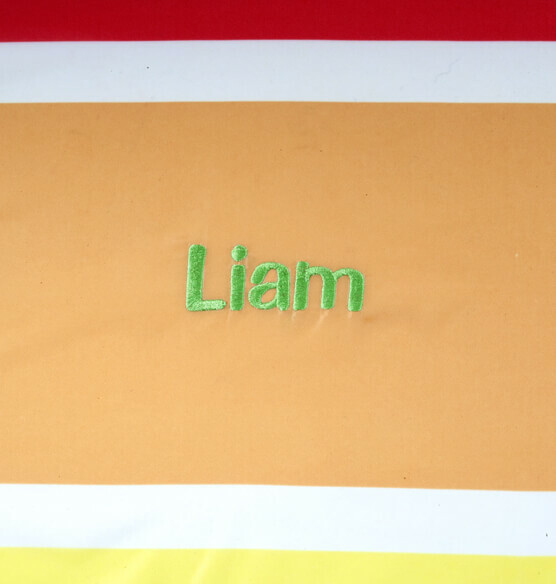 Turn any room into a Sunny Patch adventure zone with this easy-to-set-up Melissa & Doug® Personalized Giddy Buggy Tent. 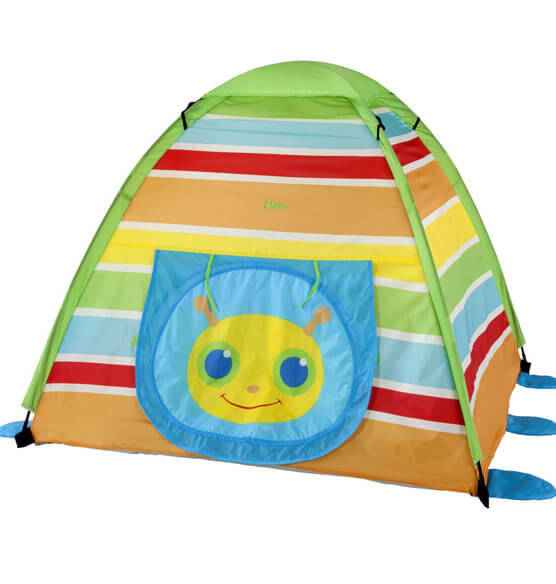 Giddy Buggy's smiling face on the flap of the nearly five-foot-tall tent invites kids to enter alone or with friends and enjoy hours of imaginative play. 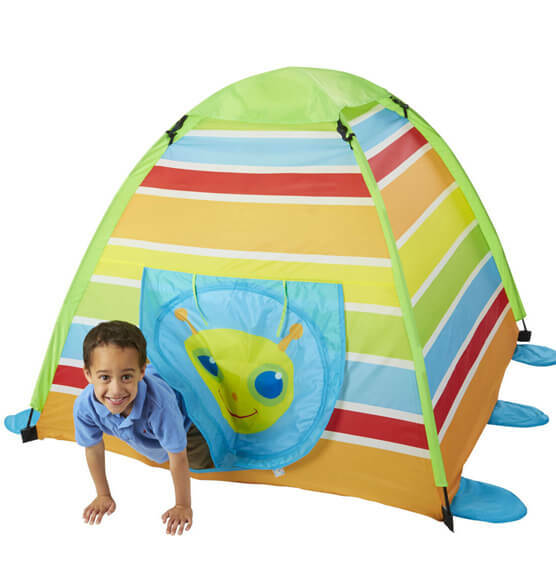 Quality materials and durable construction make this kid's tent a fun and cozy play space that's built to last. Express shipping not available. Please allow 2-3 weeks for delivery.